In 1913, Henry Ford changed the manufacturing industry in a fundamental way and set the blueprint for some of the most effective business operations of today. The introduction of the assembly line cut the time it took to manufacture a car by over 80%. 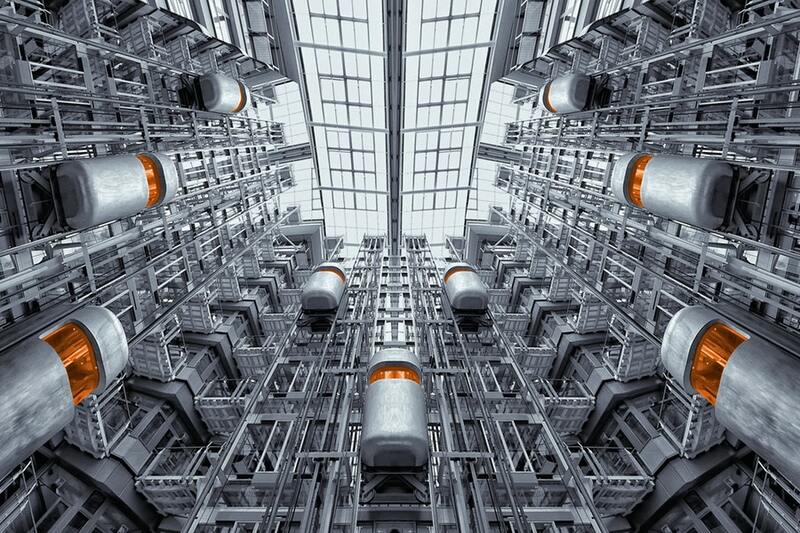 That fundamental philosophy of automating production whenever possible helped fuel the industrial growth of the 20th century, and it serves as a cornerstone of modern business thought. But the sort of automation that Ford pioneered isn’t reserved for modern manufacturing. It’s found implementation in practically every industry. The businesses of today use more sophisticated methods of streamlining their operations and these are largely possible through the advent of automation software. The assembly lines pioneered by Ford may have been sophisticated for the time, but they’re dumb when compared to the technology that entrepreneurs have access to today. Regardless, the fundamentals of the software being utilized today and the belts used by Ford a century ago are similar in that they make sure that every member of your operation has the information and resources they need when they need it. 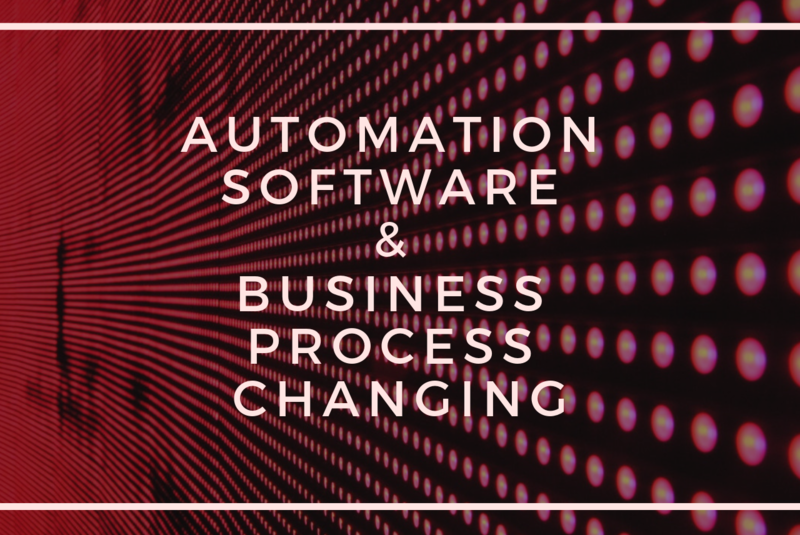 Automated business processes essentially break down each component part of a task and make sure that each of these smaller tasks is assigned to the right people. These processes can be applied in any number of practical manners, from making sure that new employees are provided with the access, vetting and resources they need to start work quicker to streamlining the process of taking an order, creating an invoice, and delivering the product to your customer. Here are some of the ways automation is changing the world. Marketing and sales are both social jobs. The latter is all about building personal relationships with potential customers. The former involves identifying your ideal demographics and creating messages that convince them to buy into your product or service. In both cases, the more intimate and specific the pitch, the better. Automated operations can improve both these disciplines. Customer relationship management software has improved the ability for marketers and sales teams to target their leads, but entering contact information manually eats up time they could be spending elsewhere. That’s where data scraping software comes in. Platforms like ProsperWorks automate the process of hunting down that information by scanning incoming emails, extracting the necessary information, and automatically compiling it within your CRM database. Assembly lines fundamentally changed how manufacturing plants operate, but that was just the tip of the iceberg. Assembly lines allowed individual workers to each accomplish specialized tasks more efficiently, but cobots, or collaborative robots, can supercharge that efficiency even further. These robots are swiss army knives on the production floor: capable of accomplishing a wide number of tasks but programmed to stop working when in the presence of a human. This allows them to greatly streamline the manufacturing process without intruding on the human intelligence still necessary in the industry. Cobots are seeing increased usage in the automotive industry as well as in any number of different manufacturing fields. A mandated recall on a product can cost a company a lot of money, both in terms of money and public reputation. But automated quality assurance allows the automotive industry – as well as others – to reduce the labor spent on QA while also producing more accurate results. “Machine vision” constitutes a whole array of different technologies. X-ray, three dimensional, and hyperspectral imaging combined with a variety of other technologies to create a more comprehensive perspective of a product that could be achieved with more conventional means. The results still need to be analyzed by a human, but the automated process of Machine Vision makes the job both easier and more thorough. Being able to respond quickly and meaningfully to the demands of your clients is integral for keeping their business, but most companies aren’t equipped to maintain a customer care team all hours of the day. But a number of different automation software platforms, most notably Zendesk, allow you to respond to the needs of your customers without keeping people on staff. Through the use of machine learning, these platforms can provide intelligent and evolving responses to customer questions. And when there’s the need for a customer service representative to step up to the plate, they can compile, prioritize, and delegate the tasks to create effective results for both the customer and the care team. Running a successful business means to keep track of any number of financial components, but there’s a vast selection of different automation platforms that can make that job easier. Mileage tracking apps work in conjunction with a phone’s GPS to create a more accurate assessment of your employees’ vehicle usage and make sure that your payouts are on point. Meanwhile, the process of juggling time sheets is increasingly becoming a task handed over to machines. Software like Timely alerts staff when it’s time to enter their time sheets and compiles the results of all of these sheets in one simple interface. Business processes drastically changed and is still undergoing modifications. As people learn to work along with artificial intelligence and use it as an incremental part of a business, the expansion will speed up and we will notice more areas affected by automation.